Has the ugliness of life stolen your ability to see the beauty in each day? You believe that God makes everything beautiful in its time, but your challenge is focusing on God’s glory, no matter life’s seasons. The Everything Beautiful Bible reading plan and journal provides 31 Scripture references ideal for one month of rediscovering and relishing in God’s everyday elegance. Each day includes one focus word and simple memory statement to encourage you to recognize God’s gifts of grace right where you are. Specifically designed to help you remember to spend time with God each day and enjoy his love letter to you, the simplicity of this Bible reading plan and journal makes it one you’ll long to share with others. Through this Bible reading plan and journal, you’ll appreciate God’s seasonal stylings of everyday grace and revel in his everlasting glory. Has the ugliness of life stolen your ability to see the beauty in each day? You believe that God makes everything beautiful in its time, but your challenge is focusing on God’s glory, no matter life’s seasons. 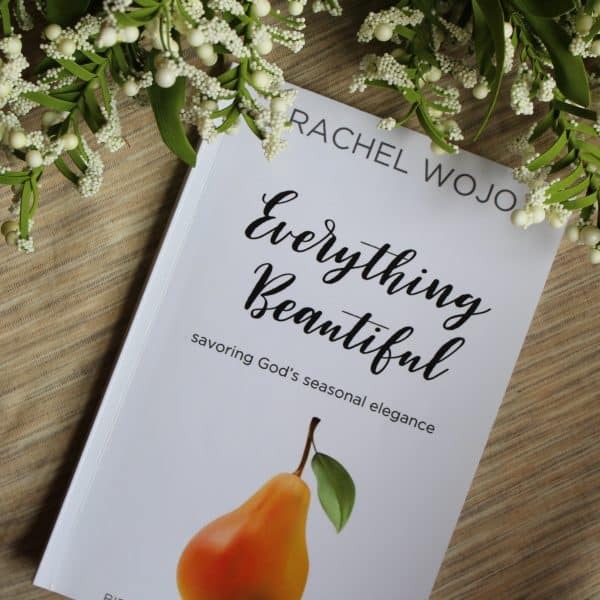 The Everything Beautiful Bible reading plan and journal provides 31 Scripture references ideal for one month of rediscovering and relishing in God’s everyday elegance. Each day includes one focus word and simple memory statement to encourage you to recognize God’s gifts of grace right where you are. Specifically designed to help you remember to spend time with God each day and enjoy his love letter to you, the simplicity of this Bible reading plan and journal makes it one you’ll long to share with others. Through this Bible reading plan and journal, you’ll appreciate God’s seasonal stylings of everyday grace and revel in his everlasting glory.